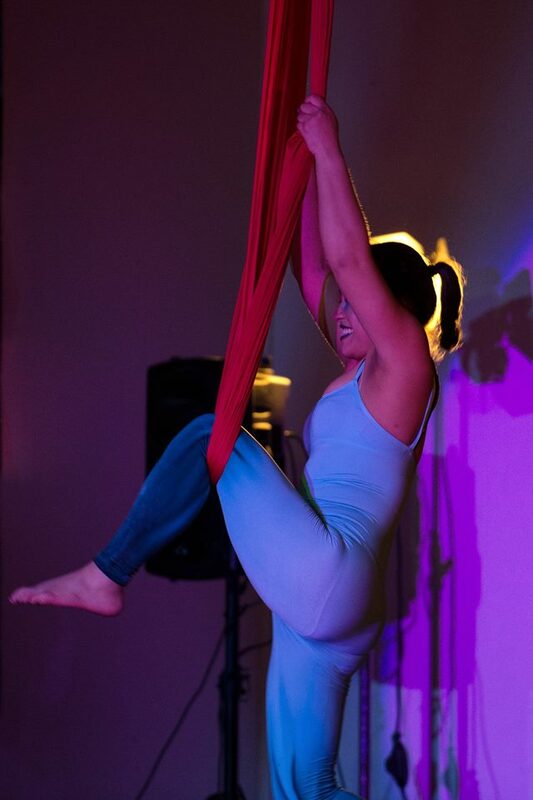 Silks, Lyra/Aerial Hoop, Trapeze, Aerial Cube, Straps, Aerial Cradle – A Variety of Classes for Adults! 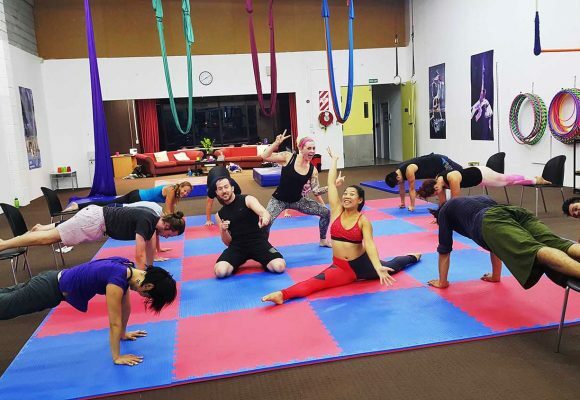 At Flip N Fly circus school, we run an exciting range of Aerial classes for adults that are suitable for all fitness levels. 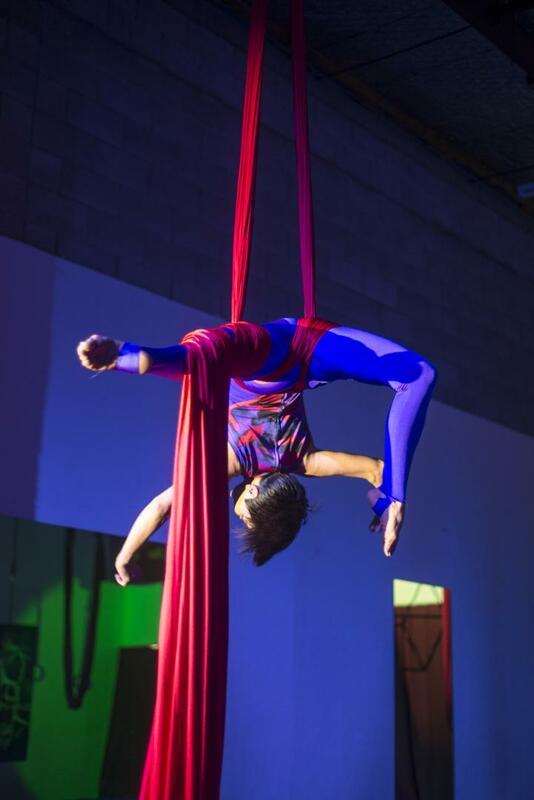 Classes start from 16 years old with Mixed Beginner, followed by Intermediate Aerial classes. 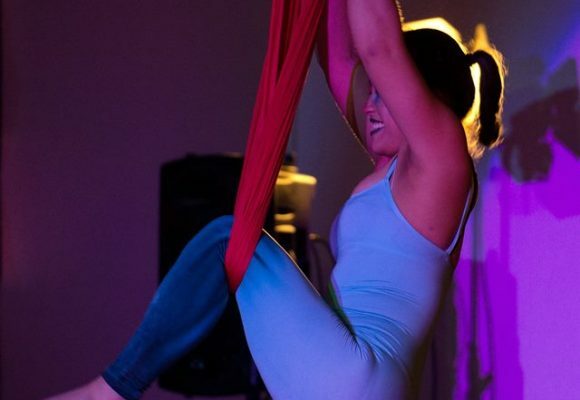 In these classes you can learn various skills in a diversity of apparatuses like Aerial Silks, Lyra/Aerial Hoop, Straps, Trapeze, Hammock, Aerial Cube and many more. We also teach ground skills like Contortion, Tumbling, Handstands and Acrobatics. If you are looking for classes on specific apparatuses only, we offer those as well – please see our Specialized classes tab for Contortion, Lyra and Silks Classes. These are fun and challenging physical circus classes for beginners or anyone wanting to try all the circus skills that are taught at Flip N Fly Circus. They are tailored to the individual levels of the participants and are open to all levels of fitness and ability. 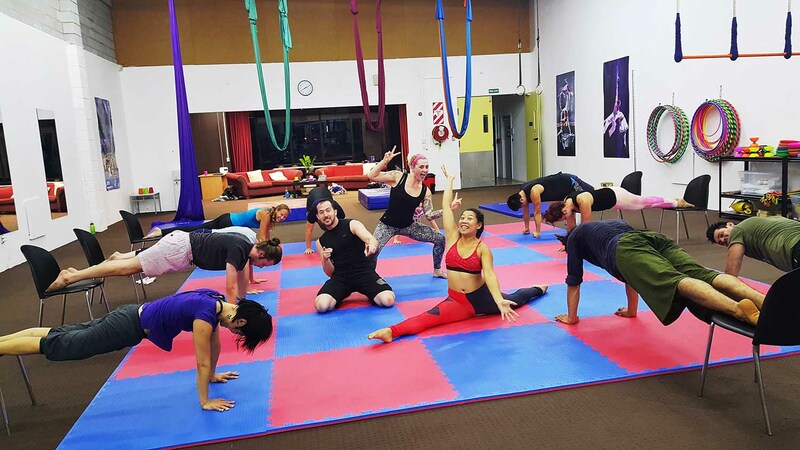 Progressing from the Mixed Beginner classes, the Intermediate Aerial classes are fun yet challenging physical classes that focus on the techniques used by circus performers on the ground and in the air. The class consists of an initial warm-up and conditioning routine followed by stretching. 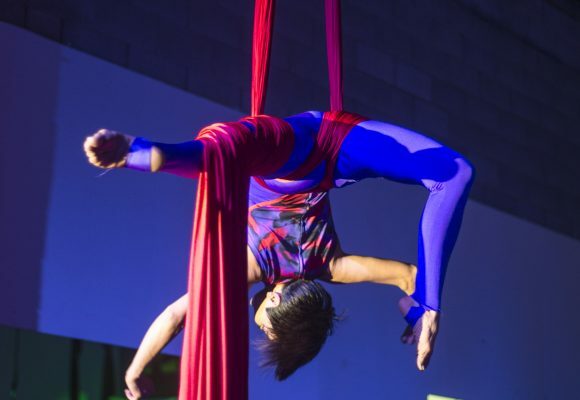 Next, you will experience the thrill of practicing new skills on a suspended circus rig that includes static trapeze (single and double trapezes that do not swing),Trampoline, Skipping, Acro, Handstand, Lyra (hanging hoop) and Aerial Silks (hanging stretch fabric). Through a wide range of aerial, tumbling and acrobatic skills, you will develop your motor skills, confidence, strength, flexibility and endurance.